#30DaysWild – Day 11 – Roof top car park! A trip to town meant finding somewhere to park, my favourite place is always the roof top of a multi-storey. It’s where the birds hang out, it is most definitely their domain! While I munched my midday snack, I watched and admired the feathered beauties. Perched for a quiet moment, high above the busy streets below. They might be pigeons and gulls and not some exotic rarity, but taking a closer look you have the chance to see that these birds have both elegance and endurance! My photograph from November and December! My monthly blog has been a little haphazard this year, as proved by the fact I’m posting November and December’s photos together this month! But I do find this a fun exercise and maybe it is something I’ll carry through into 2017. However until then I’ll leave you with my last two photos for 2016 and wish you all HAPPY NEW YEAR! November – A squirrel enjoying hawthorn berries! December – Gulls and starlings on Brighton beach! Of all the wild things I did over June, I had one clear winner for my photograph of the month. 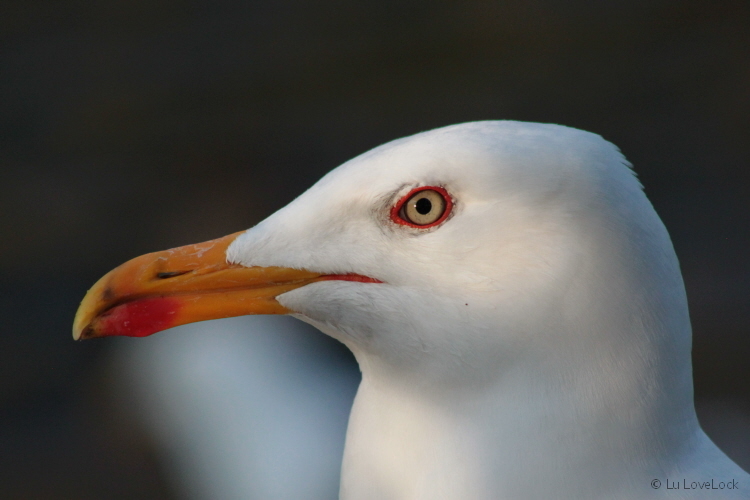 Portrait of a Lesser Black-Backed Gull!